Point2 Homes gives you far more than a simple list of houses for sale. Get instant access to a lot of relevant information about The Glebe, Ottawa, ON real estate, including property descriptions, virtual tours, maps and photos. The search results pages also have a wealth of information on The Glebe, Ottawa, ON, if you scroll all the way down. 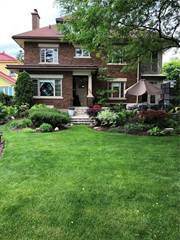 There are 19 houses for sale in The Glebe, Ottawa, ON. 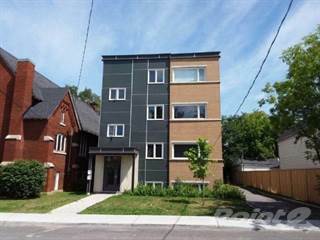 Searching homes for sale in The Glebe, Ottawa, ON has never been more convenient. With Point2 Homes, you can easily browse through The Glebe, Ottawa, ON single family homes for sale, townhomes, condos and commercial properties, and quickly get a general perspective of the real estate prices. Also, you’ll never miss a bargain if you filter listings based on house price drops in the past six months. Use the map view to find The Glebe, Ottawa, ON homes and apartments for sale, based on amenities or city features that you may want close by. You can close in on a specific neighbourhood or area by simply drawing around them with the polygon or radius tools. Stay informed about the latest entries on the real estate market by saving your searches. This way, you get new listings in your inbox, daily or every week, based on your preferences. If you’d like to get in touch with a professional, agents are displayed next to their listings, and they’re easy to contact through the online forms. If you want more options, you can click the Tools tab and Find an Agent, and you’ll get a list of helpful and knowledgeable real estate agents in The Glebe, Ottawa, ON. Visit the Point2 Homes blog and you can find up to date expert advice on many markets throughout Canada, regular market reports, neighbourhood scoops in cities throughout the provinces, real estate deals and useful recommendations. One of the most recognisable areas in Ottawa, Ontario, the Glebe, is best known for its trendy shops, wide range of community activities and access to some of the best paths and trails that Ottawa has to offer. The Glebe was one of the first suburbs of Ottawa and has a rich history dating back to the mid 1800’s when the community area was allocated to the St. Andrews Presbyterian Church. Luckily, towards the end of that century, real estate agents simply began referring to this community as The Glebe, instead of its original and long-winded name of “the church lands of St. Andrews Presbyterian Church”. As one of the most idyllic communities in Ottawa, The Glebe offers people the big city life but with a small town feel. 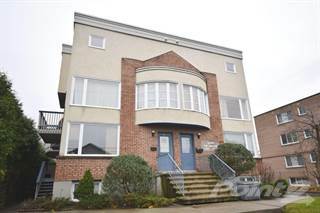 The Glebe offers you a small town feel yet it is nestled in the heart of the city. It perfectly blends a rich history with a modern vibe that can be felt at its core. Within walking distance, you will go from tree-lined streets and century old homes to the trendiest shops in the city. It is the perfect balance between city life and good ol’ fashioned small town living. As you often expect in a small town, there is a very strong sense of community in The Glebe. There is no better time to see this than during the Great Glebe Garage Sale, which brings thousands of people to the area for great finds, amazing food and a lot of fun. To show you what this community is all about, a portion of the money raised from this renowned event is donated to the Ottawa Food Bank. With large homes, lots of greens space and a very strong community, The Glebe is a great area to raise your family. You can feel confident knowing that your entire family will love living in this “small town”. This is the one area where The Glebe doesn’t feel like a small town. This area is known for its trendy shops, a variety of special events, bike paths and of course all the soccer and football you can handle. Enjoy every moment of your life while living in The Glebe. One of the biggest perks of living in this area is the fact that you can enjoy the big game without leaving your neighbourhood. Walk to the newly rejuvenated Landsdowne Park and enjoy live action from Canada’s newest CFL Football team, the Ottawa Redblacks. If you prefer the European version of Football, then you will love watching the Ottawa Fury FC compete against the best that the North American Soccer League has to offer. If the game was a little too exciting and you need to slow things down, perhaps a relaxing walk along the Rideau Canal will slow the adrenaline. The Glebe is bordered by the canal and offers many biking paths and walking trails. Enjoying the natural beauty of Ottawa is a perfect Sunday activity for you and your family. When it comes time to hit the town, walk over to Bank Street and enjoy the numerous coffee shops, pubs and trendy shops. You can easily spend the day shopping at places such as An Elegant Affair, Glebe Trotters or at the amazing Magpie Jewellery. After all of that shopping, don’t you think you deserve a nice snack? Of course you do, so why not head over to the Wild Oat Bakery and Café for some of the best baked goods that will ever touch your lips. If you are looking for something a little more substantial, The Glebe has a wide range of incredible restaurants including, The Urban Pear, Feleena’s and the renowned La Strada, serving classic Italian cuisine. Outside of your day to day living, you will also have the opportunity to attend a variety of events as The Glebe typically hosts a variety of fun activities for the whole city to enjoy, with the Great Glebe Garage Sale being the crown jewel. Regardless of your style or taste, there is always something new and exciting waiting for you in The Glebe. If you look through the Ottawa history books, you will quickly notice that The Glebe has been through it all. This is evident by the houses you will find in the area. 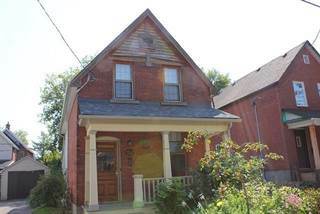 There are many tree-lined streets featuring large, century old homes complete with large front and back yards. The detail, durability and craftsmanship you find in these homes are second to none. 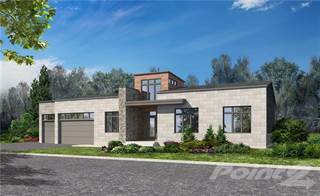 Many of these homes are along the Rideau Canal and offer a large amount of green space for you to enjoy. Amongst the coffee shops and trendy stores on Bank Street, you will find a few new and stylish condominiums that offer the very best for downtown living. If you are looking for something in between the condo life and the heritage home, The Glebe also has numerous town homes that offer the best of both worlds. Whatever home style you are looking for, you will be able to find it in The Glebe. Small town living in a big city comes with many benefits including a lack of pollution and limited noise. Outside of the area surrounding Landsdowne Park on game night, you won’t notice a major influx of traffic or partying. There is very little noise in this quiet community. Given the strong sense of community, it should come as no surprise that the crime rate for The Glebe is below the Ottawa average. In fact, over the last few years, crime has dropped by roughly 10% in this area. Needless to say, you don’t have to worry too much about walking down the streets in this safe and vibrant community. Whether your children are just starting school or filling out University applications, The Glebe is able to provide the highest standards in education. At elementary level, your child can attend the popular First Avenue Public School, which first opened its doors in 1898 and has been designated as a heritage building. As you can imagine, over the years they have perfected their course offerings, so you know your child will be in great hands. Sticking with schools originating in the 1800’s, Mutchmore Street Public School is home to roughly 400 students and offers French immersion and even has a gifted student program. If you are looking for a Catholic Elementary School, look no further than Corpus Christi School, which was founded in 1926, which is relatively new for Glebe standards. This school focuses on preparing your child for high school but also for developing necessary life skills. For all the wonderful teenagers out there, they have three high schools to choose from. The famous Lisgar Collegiate Institute and the Glebe Collegiate Institute, which provides the very best Ottawa has to offer for developing a well-rounded high school education. Not to be out done, Immaculata High School is equally impressive and offers an increase course load for Catholic students. 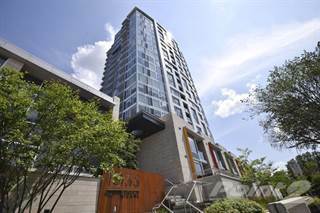 Located in the downtown core of Ottawa, you have plenty of options for getting around the city. If you are looking to get in or out of the area quickly, all you need to do is hop aboard OC Transpo Bus #7 or Bus #1, which services most of the city. Recently, OC Transpo has created a special shuttle service for Landsdowne Park, located in the heart of The Glebe. This bus will operate on game nights and will make getting home that much easier. The large century old homes, vast amounts of green space and the strong community bond make The Glebe the ideal place to raise a family. There are lots of parks, trails and bike paths when you feel like taking the kids out for a stroll. The Glebe Neighbourhood Activities Group and the Glebe Community Centre will often work together to provide its residents with a host of fun and exciting activities. They offer many camps and courses that are perfect for the young and old to enjoy. The Glebe is one of the best places in Ottawa to raise a family and create a long, healthy and happy life together. It perfectly balances the small town atmosphere with the amenities of the big city.